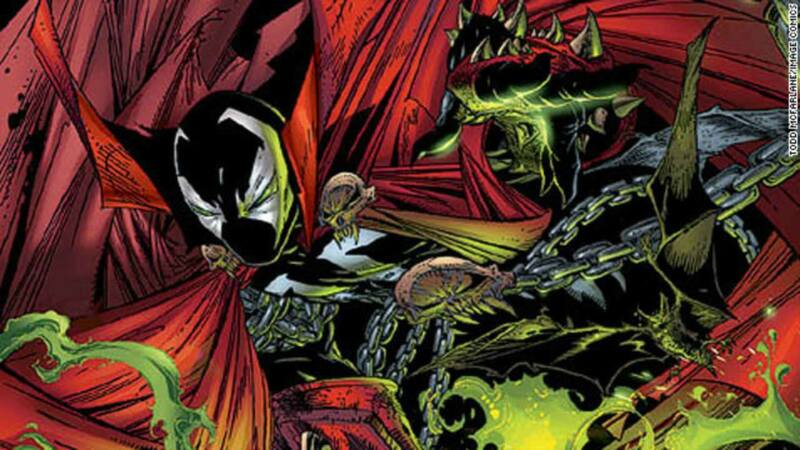 What's Up with Resurrected Vengeance Superheroes? No, seriously. What's up with this? Hard-boiled 1940s cop Jim Corrigan gets killed by thugs and is denied entry into the afterlife, and is sentenced to roam the Earth as the Spectre, the avatar of God's vengeance! Johnny Blaze was a stuntman who sells his soul to Mephisto to save his adoptive dad. 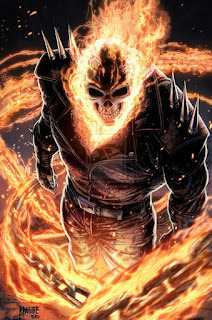 Unable to claim Blaze's soul, Mephisto bonds Johnny to the demon Zarathos and turns him into Ghost Rider, the first of several such combinations. Circus trapeze artist Boston Brand gets killed while performing his high-wire act, and is brought back by the god Rama Kushna to avenge his death. 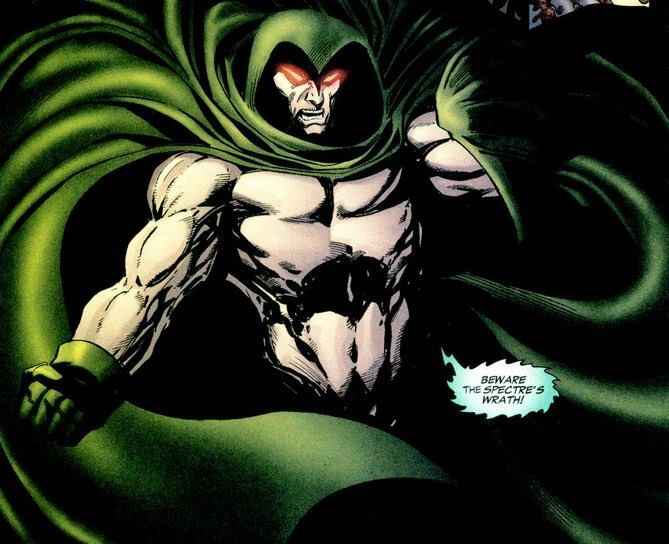 After doing so, he continued his crusade against evil as Deadman. 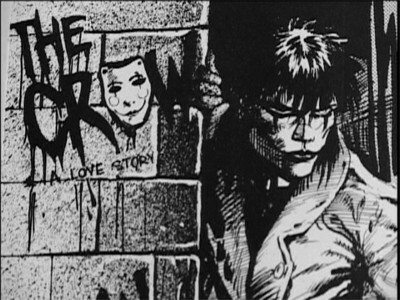 Eric Draven and his girlfriend Shelly were killed one night, and is resurrected by a crow to take vengeance on his murderers.He would go on to headline the best non-superhero comic book movie of all time. US Marine Al Simmons was sent to Hell after his death due to having killed innocents. He cuts a deal with the Malebolgia for his soul, to bring him back to life so he could see his wife. 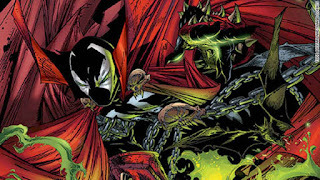 He's tricked though: Malebolgia brings him back five years later as Spawn, part of his army in the War on Heaven. Okay, seriously, what's up with this? This is a very specific genre, and it only ever shows up in large numbers in superhero comics. Why? 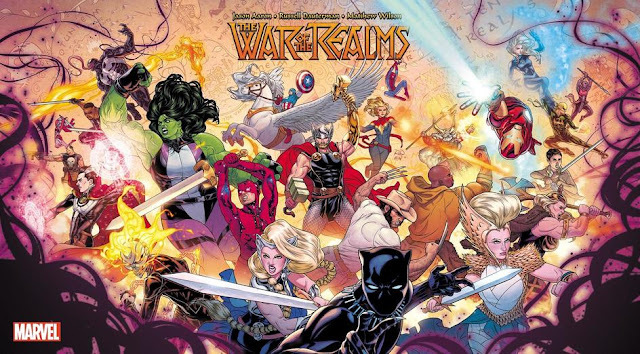 What is it about comics — as an industry or medium — that invites this? You know what's weirder? It's got a subgenre. Baron Eric Von Emmelman was a World War I German flying ace who was shot to death in a Polish swamp. 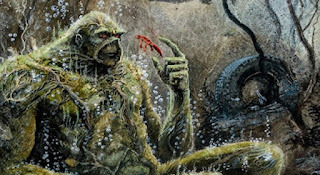 He's brought back by the goddess Ceres as a guy bonded with the swamp. He's known as the Heap. Ted Sallis was a biochemist who injects himself with an attempt to recreate the Super-Soldier Serum (the thing that made Steve Rogers Captain America), but he crashes into a swamp and dies in the process. 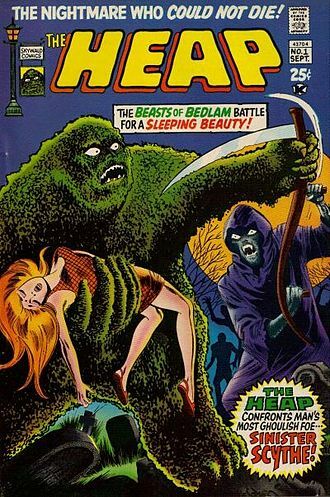 This turns him into the Man-Thing, who can burn people with his touch and is the guardian of the Nexus of Realities. 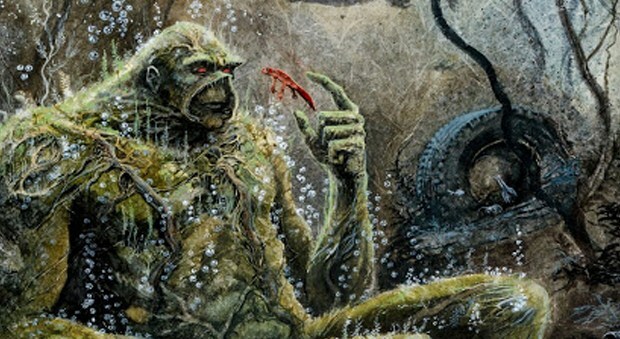 Most famous of all is Alec Holland, who was working on a biorestorative formula in the swamp. 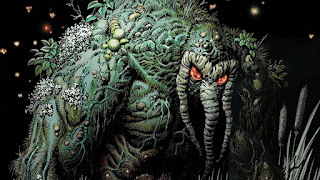 He catches on fire while fleeing criminals, and the biorestorative formula, which has affected the plants, are infected with his consciousness, coming together to form the Swamp Thing. 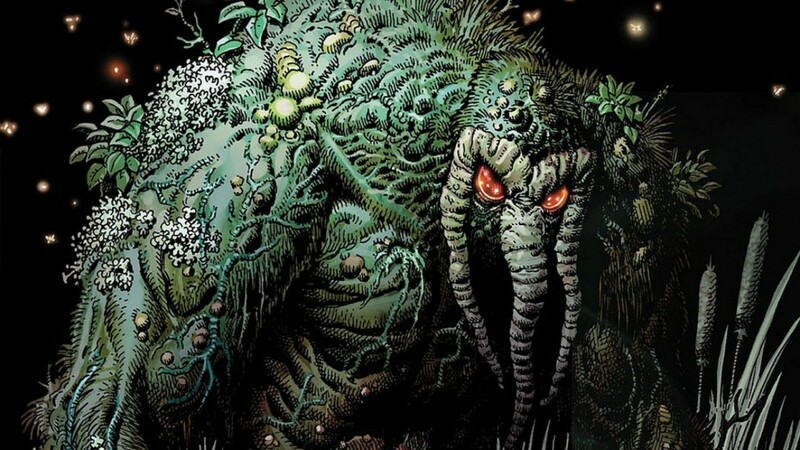 It's eventually revealed that he's the latest in a long line of Plant Elementals. So what's up? What happened? What's with this genre? Seriously, I'm stuck. I'd be willing to listen to explanations. Sorry I got no answers...but I have noticed (and wondered about) the same thing. I'll be following this post to see if any answers are forthcoming. Do you think it could be some sort of cultural subconscious desire for resurrection stories? I'd be curious to know if superhero comics produced in countries that WEREN'T part of historic Christendom display this same tendency. If not, that might be circumstantial evidence.